You can read my original post on this link - it's got lots of information about the lenses and how they work but briefly, they are hard (gas permeable) lenses that are worn at night only. 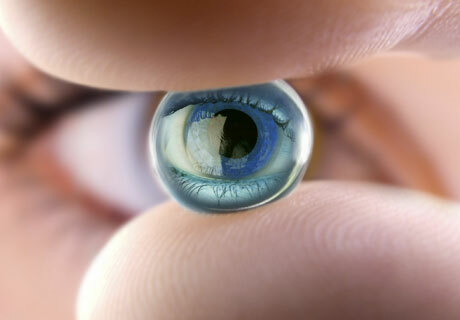 Over the course of 6-8 hours of sleep, they reshape the cornea so that in the morning when they are removed, you can see without corrective lenses for up to 48 hours. Now there are lots of variables around this, not least your level of short sightedness, so they work slightly differently for everyone. They're suitable for adults and children and one significant benefit to younger wearers is that they prevent short sightedness from deteriorating. As a mother of a short sighted son, I can appreciate this so I'm bringing my son into Gillian for a check up this month. His vision has been stable to date but now he's in big school and playing rugby several times a week, he's an excellent candidate for the nocturnal lenses. But how have I got on over the past year? Simply put - they're amazing! I still get a kick out of waking up in the morning, taking them out and being able to see. The freedom of being able to run, swim and socialise without the hassle of glasses, is quite honestly life-changing. I've found the routine of using them absolutely fine. 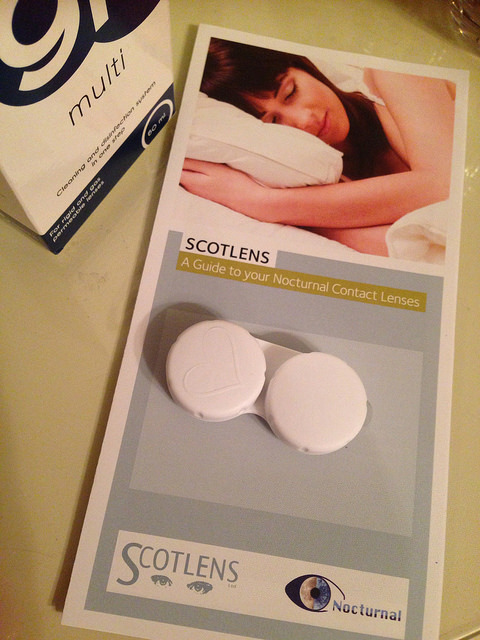 Yes, it's a bit of a faff but no more so than what's involved when you wear any kind of contact lens. I do occasionally forget to wear them but as my vision is only about -2, I can get away with missing the odd night here and there. On average, I wear them about 5 times a week, timing my free nights around the weekend or late nights. I get asked most about how aware I am of the lenses while wearing. I have very dry eyes so I do feel the lenses when I put them in and I am aware of them as I go over to sleep but once I'm asleep, there's no issue. If the kids wake me in the night with a wet bed or sickness, I can still see enough to help them out - but they wouldn't be comfortable enough to wear while awake for any length of time. And indeed, it's not good to wear them while awake - they are designed to be worn only while the eye is closed. The lenses are hard perspex type material and are replaced annually. During this past year, I've gone through about 6 bottles of the solution used to clean & store them. Protein removal is recommended about once a quarter. Cost wise, I was fortunate enough to be gifted the first pair of lenses last year - they normally retail at £300, which includes all the consultations you'll have during the initial stages of using them. There are quite a few appointments in your first week of wearing them as Gillian needs to assess the effectiveness over those early days. Thereafter, it's £25 a month and I've been paying that myself ever since I realised that I cannot do without these lenses in my life. That's around about what I was paying for my disposable lenses, which I was struggling to tolerate due to dry eye issues. I honestly cannot recommend them highly enough - they have freed me up from the tie of contact lenses, glasses and my personal pet hate - prescription sunglasses. The simple joy in being able to buy whatever gorgeous sunnies you like! I also strongly recommend them for children from about age 10 or 11 - Gillian has looked after lots of kids who were restricted in their sporting activities or had deteriorating vision and the process is as life changing for these kids as it's been for me. Incidentally, the lead up to Christmas holidays is a great time to bring your kids in, as the process involves a number of sequential appointments so it prevents too much missed school if you schedule when school is closed. 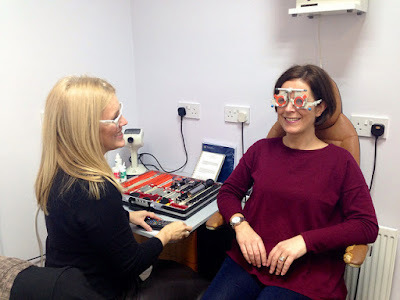 Please feel free to ask any questions in the comments below or if you're local, you can book an appointment with Gillian to talk it over further and have your eyes assessed for suitability. The practice number is 028 9081 2890. Disclaimer: this is NOT a sponsored post - I pay in full for my lenses! I'm sending a link to this article to my Husband, very interesting reading. Thank you!